(Leah Hogsten | The Salt Lake Tribune) Harmons Grocery specialty cheese buyer Mariah Christensen holds a wheel of Cornish Kern, a cheese from the United Kingdom, that recently won best cheese in the world. Cornish Kern is available at Harmons grocery stores. It may seem cruel to announce the winner of the World’s Best Cheese contest and then make aficionados wait more than a year to taste it. But Cornish Kern, a buttery British cheese that won the global title in November 2017, is worth the 16 months of anticipation, says Mariah Christensen, the specialty cheese buyer for Harmons Grocery — the only place in Utah to get this rare cheese. Made in southwest England’s county of Cornwall, Cornish Kern topped 3,000 other cheeses for the global honor. Judges select the winner based on taste, color, texture, consistency, rind and body of the cheese. Christensen placed an order for Cornish Kern immediately after it was crowned. “I thought maybe I’d get one wheel,” she said. Instead, thanks to her cheese connections, Harmons was allotted five wheels of the firm, complex cheese with a visually interesting dark-ash rind. (Leah Hogsten | The Salt Lake Tribune) Cornish Kern, a cheese from the United Kingdom that recently won best cheese in the world, is available at Harmons Grocery stores. Something this rare — and sought after — isn’t cheap, though. Cornish Kern sells for $45 a pound. But “small chunks go a long way," said Christensen, who suggests serving it with fruit, breads, salami and a glass of red wine. “It’s not a melting cheese,” she added, so don’t try it on grilled sandwiches. Taste, of course, is what makes it worth the price. How many calories and how much fat are in pastrami burgers, glazed doughnuts and other favorite Utah foods? Health experts did the calculations. It is available at the specialty cheese counter at the Salt Lake City Harmons in Brickyard and City Creek, as well as stores in Holladay, Riverton (Mountain View) and Farmington (Station Park). 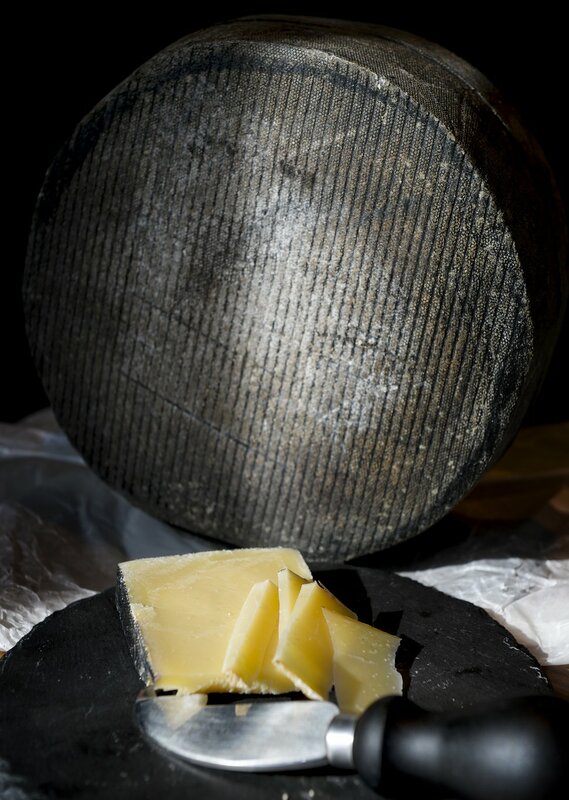 Cornish Kern, which is made with pasteurized cows’ milk, is a Gouda cheese, with characteristics of cheddar, courtesy of Alpine starter cultures used by the producer, Catherine Mead at Lynher Dairies Cheese Co., near Truro, in England. Batches of Cornish Kern are selected monthly by London’s Neal’s Yard Dairy, where they are turned, brushed and washed for 16 months in special aging rooms located under the brick railway arches of Bermondsey. After Cornish Kern won the World’s Best Cheese title, the dairy amped up production to meet some of the international demand, said Christensen, but it remains in limited supply, with only a few wheels available each month. 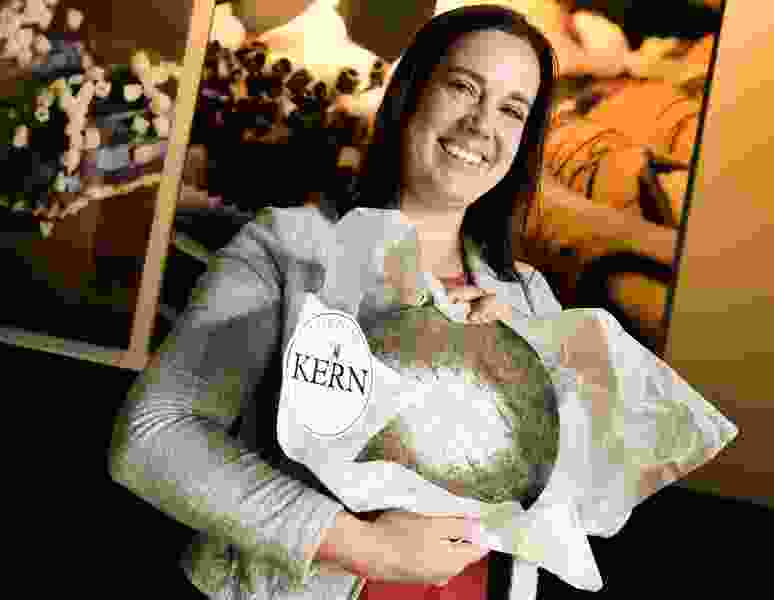 While Cornish Kern is “the big cheese” at Harmons right now, Christensen is similarly excited about two others that received recognition at the 2018 World Cheese Awards in Bergen, Norway. Harbison, named the Best American Cheese, is a soft cheese from Jasper Hill Farm in Vermont. It is wrapped in thin strips of spruce bark, giving it a rustic, woodsy flavor. It sells for $22 a pound. Midnight Moon, which won “Super Gold” at the 2018 competition, is an ivory-colored goat cheese, with a nutty, brown-butter flavor. It is made by Cypress Grove dairy in Arcata, Calif., and goes for $32.50 a pound. 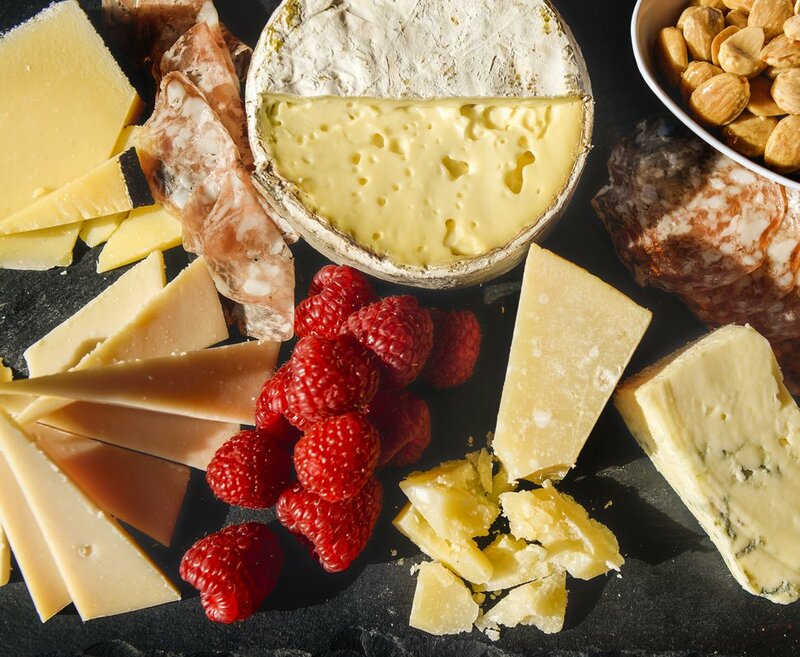 (Leah Hogsten | The Salt Lake Tribune) Each Harmons Grocery location has a cheesemonger who can recommend cheeses that would complement one another. From left, Lynher Dairies' Cornish Kern, Cypress Grove's Midnight Moon goat gouda, Jasper Hill Farm's Harbison, Caseificio La Madonnina's Parmigiano Reggiano and Rogue Creamery's Smokey Blue.